It is not easy for a foreign employee. That person might be here on an H-1B visa, or have green card status but, either way, he or she is in strange world. Public agencies make it hard for them. Forms require completion and there are administrative deadlines for applications which these newcomers don’t understand. It gets frustrating. Countrywide Pre-Paid Legal Services understands the problem. We work with all kinds of organizations and the workforce may have a mix of foreign-born and native-born American employees. We believe the newcomers ought to get the assistance they must have and help dealing with government bureaucracies is a Countrywide group legal plan benefit option. It is tough enough for native-born Americans to work with the government. Public employees are helpful but have mandated guidelines to follow. A group legal plan member has access to an attorney through Countrywide. This legal professional provides pre-paid legal services on a personal level. Unlike some group legal plans, Countrywide will encourage a face-to-face conference between the plan member and the attorney. It permits essential rapport to develop and grow. A Countrywide attorney will use those meetings to explain how American bureaucracy works. That legal expert is familiar with all levels of government (Federal, State, and Local). Such knowledge permits him or her to direct a foreign employee to the right office or official. We encourage questions in such meetings and Countrywide will go one step further. If a person leaves a session and later has other questions, a telephone call can be made to the attorney to get answers. We will allow an unlimited number of telephone calls on a given matter. Employees require good advice and Countrywide delivers it. A group legal plan member can expect the attorney to provide counsel and suggestions. Clause heavy rules are explained and applications are properly completed. The lawyer knows which public agency to contact and what information to submit. Deadlines are easy to meet. Help with public agencies is one of our pre-paid legal services benefits and there are others. Attorneys can review contracts and drafts of simple wills. Warranties are a trap for anyone. Countrywide offers insights a foreign worker can use to avoid being scammed. Correspondence is hard for someone who barely speaks English. Countrywide lawyers will write legal letters for plan members. The attorney will also make telephone calls. Countrywide support resolves legal challenges foreign workers face. Employers need all their employees working at top efficiency. Outside legal issues can hamper productivity. Decision makers are interested in providing efficient benefits and, at the same time, offer services employees can use. Countrywide makes this easy to do by offering choice. Organizations can look at our benefit options and select what they want in the plan. It means those options which all employees, including those on work visas, need to obtain legal help. Countrywide backs up the selections with some of the best member services in the group legal plan industry. 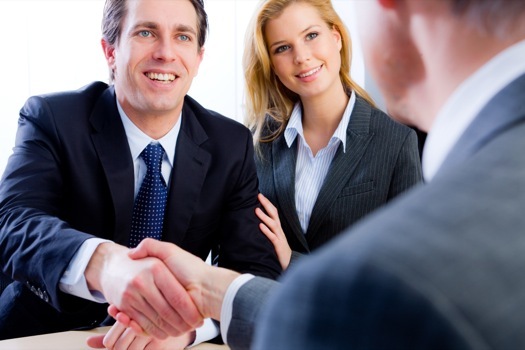 Our lawyers have solid legal knowledge and great personal skills. Everyone is made to feel important and their individual problems will be taken seriously. The Countrywide plan member gets priority treatment and is never forced to wait for service. We always will go the extra mile. A non-citizen might spend months or years in this country. Legal hassles should not cause distractions from important projects at work. Countrywide’s ability to help with government agencies is a necessary service. We have worked with all kinds of organizations for over thirty years. We have forged relationships that have lasted for years and are still going strong. Quality and empathy are the primary reasons. You may have an interest in our pre-paid legal services and have a few questions for us. We welcome any inquiry from a prospective client. Please fee free to contact us at your earliest convenience. We look forward to answering your questions.